A 3D animated series with a lot a of emotion, action, secrets and an uniquely story ! In the first episode we learned that the people of Hyrule were disapearing ones after the others because Ganondorf was killing them in the past. Considering this fact they disapear in the present that's why theTwilight Link should go back in the Past in order to defeat Ganondorf. But when he is arriving in the Past he meets the OOT Link who is the actual hero of that time. And together they must be courageous to save Hyrule. Zelda Past and Present in a uniquely project that I started in 2010. During six months I worked alone in order to see if I was able to bring this project to an end. In march 2011 the first episode (9min long) was coming out ! 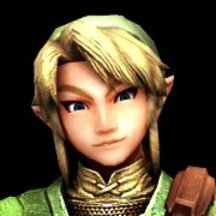 I really love Zelda and 3d animation, and for the love of Nayru I don't want to let this die. 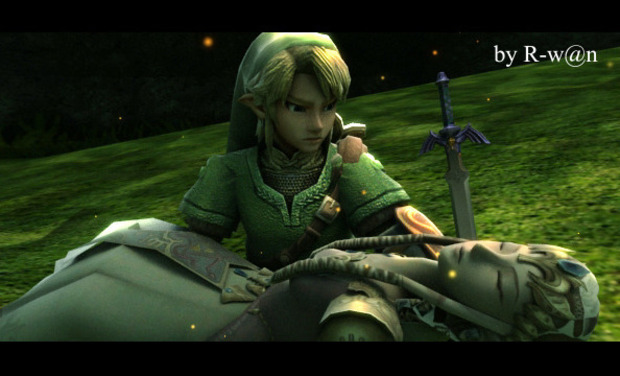 That's why i'll continue making 3d animations of Zelda for all the fans ! Now if we can reach the goal, I should be able to restart, finish this project and make others episodes. I promess that i'll make something you have never saw in the zelda universe before. It is a project I all hold dear to my heart and I would like thank everyone supporting me !! The goal here is to help me get new powerfull softwares and equipment since it is costly in order to continue making 3d animation and achieve the best visual I can get. With this software I can do the animation of the characters, the lights, the environements and the rendering. You'll get an online thank you and my deepest gratitude. All the above, PLUS: You'll get a digital download of the finished film and the MAKING OF to enjoy on your computer or mobile device + a note with my thanks. All the above, PLUS: you'll get an artwork (640x360) signed by me. PLEASE NOTE: This reward is ONLY available to the people who pledge this amount! All the above, PLUS: You'll get access to a secret web page with some scenes test that I'm working on. (Available when I'll restart the project that's is to say if we reach the goal) PLEASE NOTE: This reward is ONLY available to the people who pledge this amount! All the above, PLUS: Your name in the "special thanks" in the credits. PLEASE NOTE: This reward is ONLY available to the people who pledge this amount ! All the above, PLUS: A special personalized video thank you by me. PLEASE NOTE: This reward is ONLY available to the people who pledge this amount! All the above, PLUS: I'll send you an email to prevent you 1 month before the film comes out and you could see the 5 first minutes. PLEASE NOTE: This reward is ONLY available to the people who pledge this amount! All the above, PLUS: You'll recieve four HD atworks (1280x720) signed by me that you could use as a cool wallpaper for your computer or mobile devices. PLEASE NOTE: This reward is ONLY available to the people who pledge this amount! All the above, PLUS: You'll also get the address of a secret priority email inbox, where I guarantee all your emails will be answered by me in a timely fashion. PLEASE NOTE: This reward is ONLY available to the people who pledge this amount! All the above, PLUS: You'll recieve a video intro (about 15-30 secs) that you could use for your videos ! PLEASE NOTE: This reward is ONLY available to the people who pledge this amount! All the above, PLUS: Associate Producer credit on the series with your name in Lights! as well as your likeness inserted into the series. PLEASE NOTE: This reward is ONLY available to the people who pledge this amount!